My name is Hoda, I am 33 years old, living in Barcelona with my husband Herbert, our two chihuahuas Luke and Fiona, and expecting a little one to join the world in March of 2018. I met my husband in Northern California, where I grew up with my parents and younger sister. Years ago I never imagined living abroad or evening traveling. Most of my life, starting at the age of 15, I didn’t feel that I had the freedom to choose how I wanted to live my life since every month, when I started my menstrual cycle, I was in great amount of pain. During high school, the first days of my period included vomiting, crying, severe pain, and fatigue. Unfortunately, my mother and her siblings experienced similar symptoms, therefore, I was told this level of pain just runs in the family. For years I was to believe my pain was normal. When the dosage of NSAIDs (ie. Motrin) I was taking was no longer helping the symptoms, which was usually 600-800 mg every 4-6 hours, I visited a gynaecologists (in my early 20s) and they prescribed hormonal contraceptive pills. The pills stopped my pain entirely. Although it was amazing to experience a menstrual cycle without pain, I didn’t feel like myself. Therefore, after being on the pill on and off for a year, I visited the gynaecologists again. The doctor told me to start taking pain medication 2-3 days before my cycle started so the medication would be in effect when my period would start. Now I was taking high dosages of NSAIDs for roughly 5-6 days every month, not including when I would ovulate, which was also painful. To describe the level of pain, when I would ovulate, it would be a strong dull/achy pain in my pelvic region and low back (level 7-8 out of 10 pain scale). The heaviness and bloating I felt made it very difficult to go about my daily activities. A few days before my period, the symptoms would be similar to the time of ovulation, and then when my period would arrive, it would feel like a sharp knife stabbing me repeatedly on the right side of my pelvic region- it would feel like my insides were on fire and the pain would radiate throughout my entire pelvic region and low back (10+ out of 10 pain scale). For years I only experienced one decent week out of the month. I was unable to fulfil commitments with friends and families, I missed several days out of the month from work, I was unable to be fully present in my marriage, therefore, our relationship and connection suffered. Countless times, I wished for my life to end. I didn’t want to live another day with this pain. I felt so alone, ashamed and angry at my body, and a burden in my marriage, since my husband also took days off work to stay home and take care of me. There was a moment in my life where I felt that the pain I was experiencing was no longer just my pain. I could feel and see the pain in my husband. Now it’s one thing for me to be in pain and to endure it, but I couldn’t bear to see the person I love feel this pain. Just because he wasn’t directly experiencing it physically, he was definitely experiencing it emotionally. In 2013, After a year or so of trying to get pregnant, I decided to try an alternative way to manage the pain. I found an acupuncturist that specialised in women’s health. After a few treatments with her, she strongly believed I had a disease called “Endometriosis.” I was scared to know what this meant but strangely enough relieved to know that my pain isn’t “normal” and that this pain has a name. In a way, naming the pain was a way for me to separate myself from it, over time I felt no longer identified by it. This gave me the strength to address it. I visited Dr. Camran Nezhat and in our first physical exam he told me I have endometriosis and told me, “I can help you.” I booked my surgery date and in January 2014 I underwent laparoscopic surgery. After 3 hours I woke up in the recovery room and was visited by the doctor that confirmed he found endometriosis and removed it, along with polyps in my uterus. Unfortunately, 3 months later, the pain did not get any better. My next visit with the doctor I was recommended to take Lupron. After further research on this drug, I strongly believed this was not the route for me. 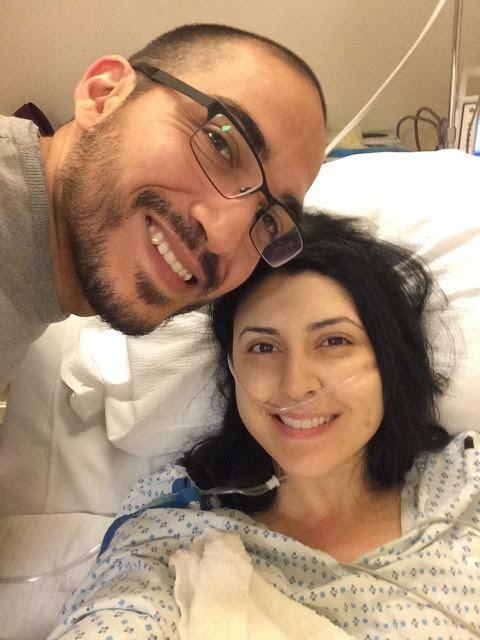 I spent more time researching specialists in the field of endometriosis, and that summer my husband and I flew to New York to visit Dr. Tamer Seckin. During our appointment I strongly connected with Dr. Seckin. Before I go any further I want to share that I firmly believe that the outcome of my surgeries was due to my goals and connection with the surgeon. My goal for the first surgery was to get this disease out of me and help me get pregnant. I just wanted live pain free and start a family. Given the poor outcome that I had, my goal for the second surgery was to simply have a better quality of life, whether I am able to get pregnant or not, I just wanted to be happy. Dr. Seckin listened to me as I shared with him the vision I had for my life and I felt confident that he could support me in obtaining this goal. My second surgery took place in December 2014 and it was highly successful. The diseased cells were excised at the root and within a couple of months I was feeling like a whole new woman. After my second surgery I knew I didn’t want to put my body through that process again. 3 months after my surgery, I was feeling so much better. I wanted to find a way to support my body, physically and emotionally, to recover, heal and ultimately thrive. That’s when I turned to yoga and nutrition. I am grateful to Dr. Seckin who stressed nutrition. He was the first doctor that shared with me the importance of diet and how pharmaceutical drugs are not the only way. My husband and I embarked on a journey of changing our diet, from processed foods to whole foods. The journey was long, as we experimented quite a bit to find what works. We started with a sugar detox (Book: 21 Sugar Detox) and paleo (Practical Paleo) plan by Diane Sanfilippo. This was great for us as it helped us transition away from processed foods, unhealthy oils, etc. In 2016, deep into my yoga practice, I attended two yoga teacher trainings that were both vegan based, and for 3 months I ate a plant based diet. Initially I was feeling good, my body felt like, I was eating more vegetables than ever, but over time, my menstrual cycle was still quite painful (out of commission for 1-2 days out of the month) and the fact that I hadn’t become pregnant yet, I knew that my body still had unresolved issues. 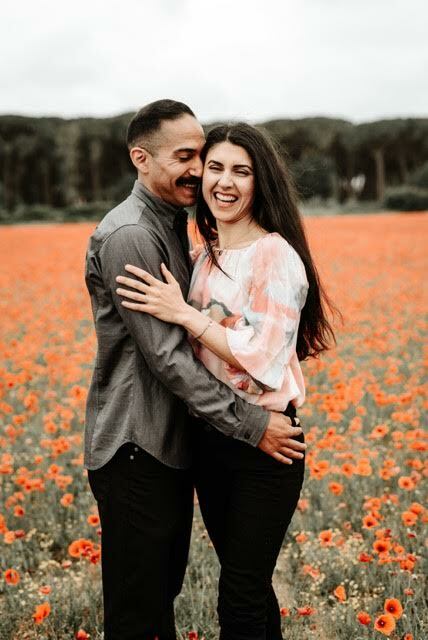 After six years of wanting and trying, part of me couldn’t believe what I saw, but there was this other part of me that said, “Of course this is true, you have healed your body.” My husband and I knew that the work we had put in to heal our bodies had worked, and is still working as I am now in my 6th month of pregnancy and feeling great. Photo taken by our dear friends from The Fort Co. Photography for our 6 year anniversary- 2017, feeling healthier than ever before! A little about my nutrition since becoming pregnant, I listened to the needs of my body and transitioned out of ketosis to include more carbohydrates, which are essential - in moderation - for a healthy pregnancy. I have been drinking homemade bone broth daily, lots of veggies with every meal (I love spinach, kale and broccoli), and main carbohydrates I eat are bananas, apples, and oranges (I have about one piece of fruit a day) and sweet potatoes - baby and I love them! After receiving the diagnosis and connecting with many women to share my story and hear/read theirs, I quickly realised I am not alone in this journey. To all the women, including dear Katie at Heal Endo, I thank you from the bottom of my heart for inspiring me. It is because of you that I felt motivated me to find a way to heal from this disease. If I can share any words of advice it is to listen to yourself- what is your body telling you, and honour it. Your body wants to thrive, it wants to live, all you have to do is make the conscious choice to give it what it needs. Remember that you are not alone. Katie, myself, and many other women who have healed their bodies from this disease are here for you! We will be strong for you and do all that we can to support you. I believe in you and know that this too shall pass, therefore, live each moment in your life as fully as possible, even if it is taking one long deep breath, embrace it fully- believe me your body will thank you. Hoda's story is so inspirational! She went from 15 years of severe pain and 6 of infertility to an adventurous life abroad as yoga instructor with new found energy reserves, and to conceive a healthy, natural pregnancy after 6 years of infertility struggles. This was accomplished with Eastern Medicine, a well-placed surgery, movement, and radical diet shifts. Because each woman with endometriosis is soooo different, know that this lifestyle path may or may not be your silver lining, but the big point that we all can take away is to Listen to Your Own Body! Hoda tried many diets before she had great success on Ketogenic, and by listening to the deep messages from within she was able to tell processed foods weren't for her, nor was a vegan diet. What she found was that a very low carbohydrate diet is what her body needed - and I'd guess, as a NTC, also a healthy dose of quality protein. Indeed I see this in nearly every endo-warrior I work with who finally manages to calm their blood sugar, and is one of the most important things you can do TODAY to heal. If you've tried diets and they didn't work, don't give up! I think all of us endo-girls who have healed probably tried upwards of 100 (ok maybe an exaggeration, but at least 10), and some will help but not get us to our final destination. Hang in there, don't be discouraged, and if need be seek professional help. And remember, diet isn't alone in many cases. Like Hoda needed yoga, many of us need to reignite a deep movement practice to get blood flowing to the pelvis. We also need connection, we need adventure, we need passion and we sure as hell need less-stress. Remember all of these things on your own healing journey and, with a little but (or a lot of bit) of patience, I so have faith you too can reclaim your life.